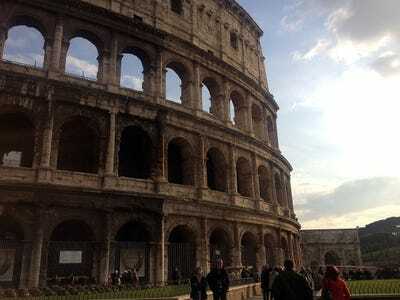 It’s my last full day here in Italy, where I’ve come to cover the parliamentary election, which has ended in chaos.The global media was watching Italy, because of the significant ramifications on financial markets, which we explained here. 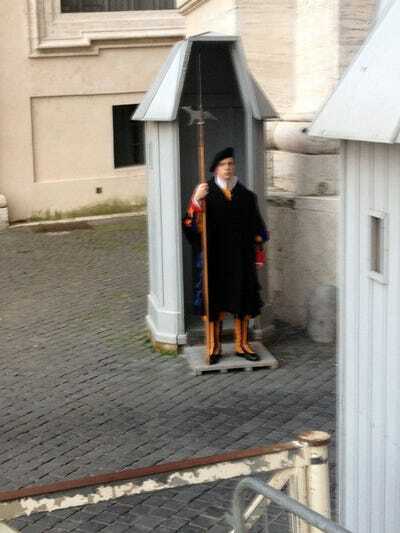 And though it’s not clear who is going to be the next Prime Minister of Italy yet, the world’s attention turns to a much bigger election, that starts within a matter of days: The election of the next Pope. 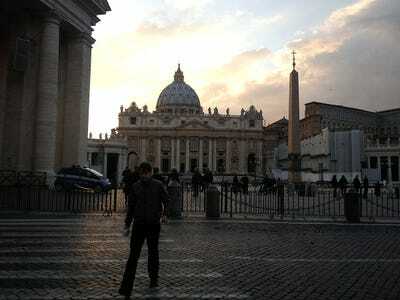 And so on my last day here, I figured I’d do some sightseeing and check out what I could of the Vatican. 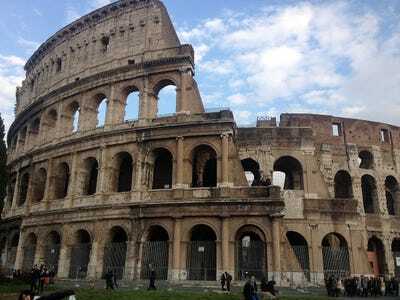 Actually, my adventure first started at the Colosseum, probably one of the most famous ruins in the entire world. 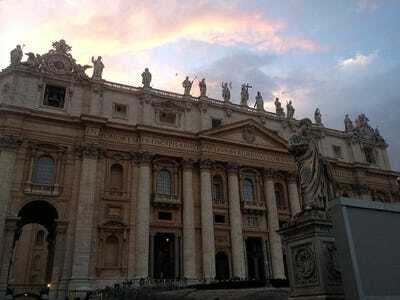 The sun was rapidly setting, so I was eager to get inside. 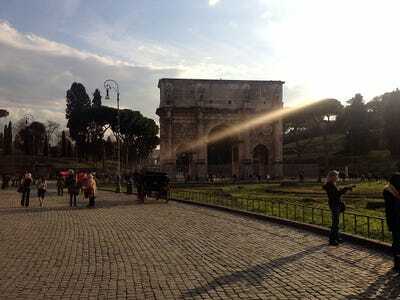 You can see here how low the sun was already in the sky. 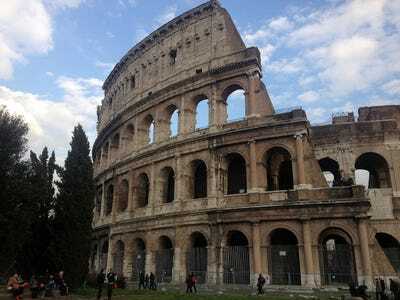 I walked all around the Colosseum looking for an entrance. Much to my chagrin, I was a few minutes too late. 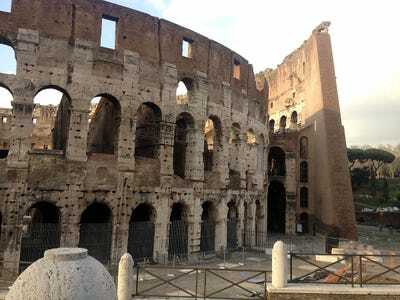 The Colosseum had just closed for the day. So I decided to head towards Vatican City. 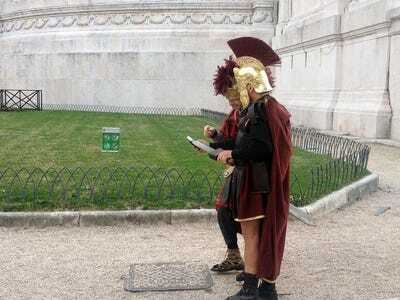 On my way there, I saw some gladiators checking text messages. Or maybe they were looking at Instagram. 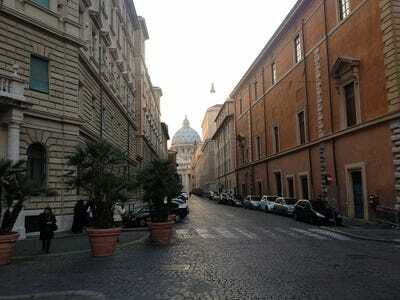 As you get closer to the Vatican the streets get very narrow, and it's difficult to get a sense of where you are. Fortunately the big dome was a big clue. 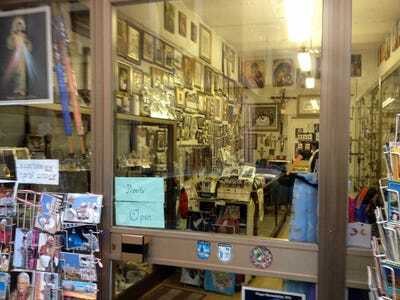 The streets near the Vatican are lined with gift shops and bookstores. 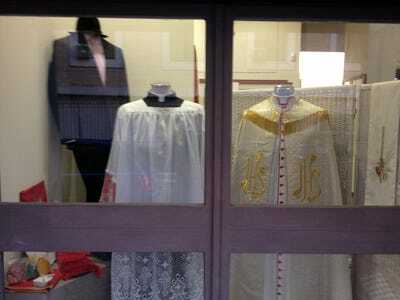 Even better, here's a store that sells holy robes. If you look in the back right, you can see cardinal hats for sales. 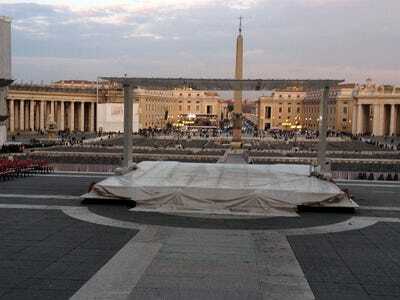 As we approach the actual Vatican City, you can see big columns. 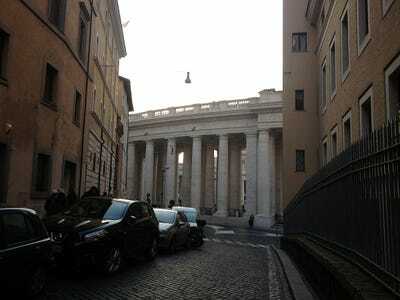 Finally, after about 30 minutes of walking, the dome is very close. 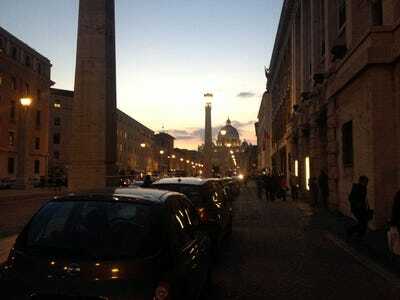 In the foreground is St. Peter's Square. 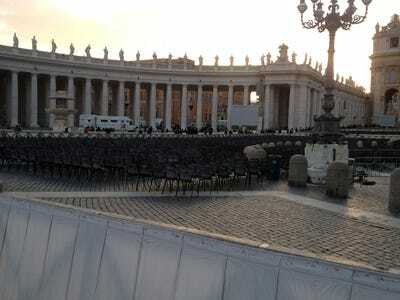 There are thousands of outdoor chairs set up there on the square. 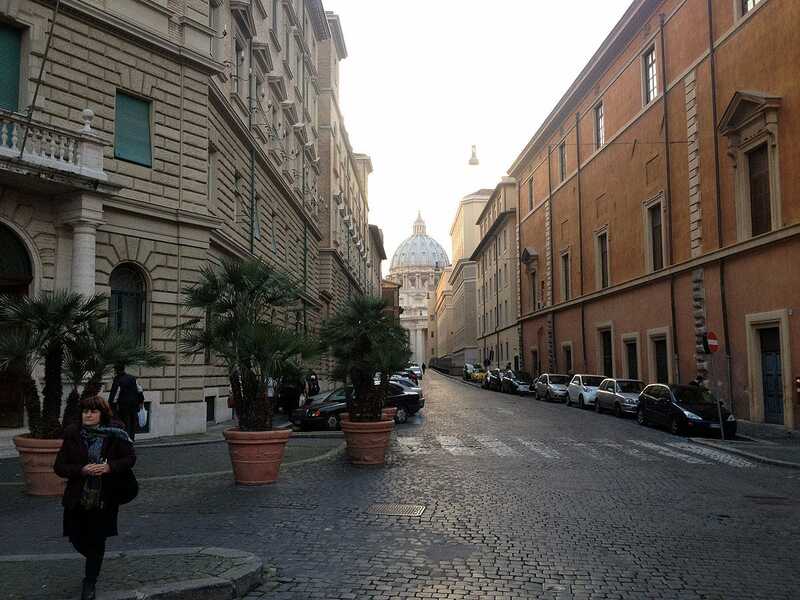 Here's what it looks like if you're standing up at the Basillica, and looking out in the main court. 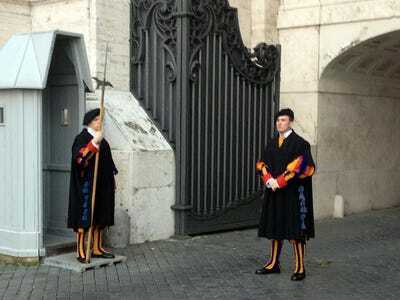 The Vatican has its own security force called the Swiss Guard. 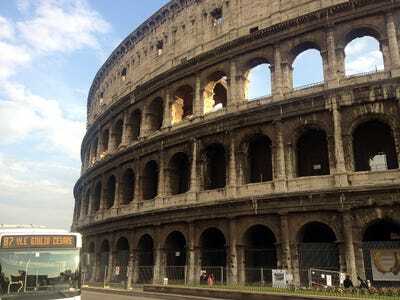 They basically stand totally still, even as tourists snap their pictures. 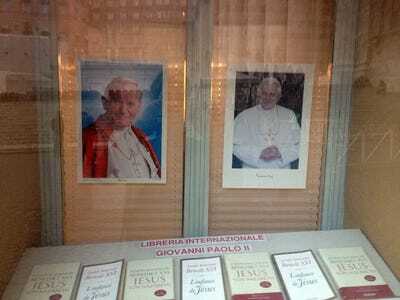 In a window in the court yard, a photo of the current Pope and the last one. 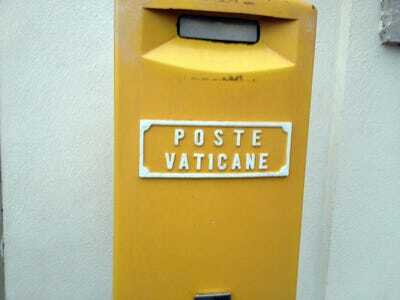 The Vatican has its own post office. Stepping just outside the walls are lots of people selling gifts. 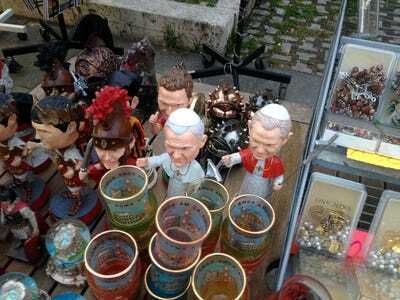 Like these Pope bobbleheads. Back inside the square are visitors from around the world. 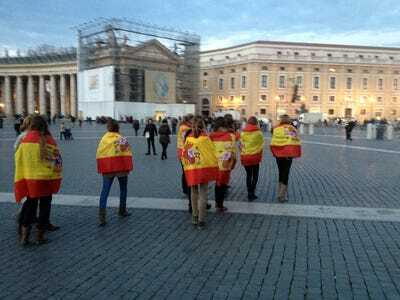 Like this group, which is obviously from Spain. 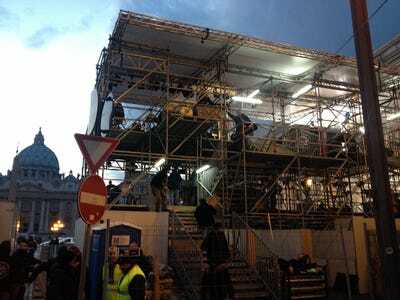 But the media is getting set up for the Papal conclave. 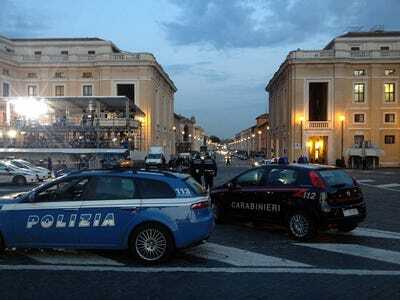 TV networks from around the world have built this big stage across the street from St. Peter's square, ready for their live broadcasts. 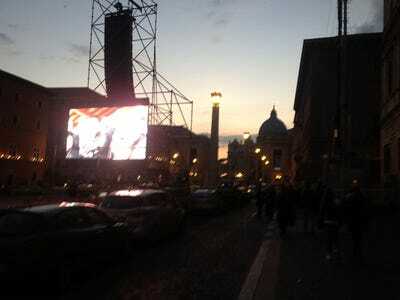 As you walk way down the street away from the Vatican there are still huge monitors set up, so that people can see the action on a packed day. 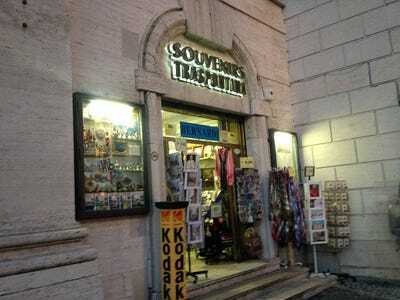 And there are plenty of gift shops still. 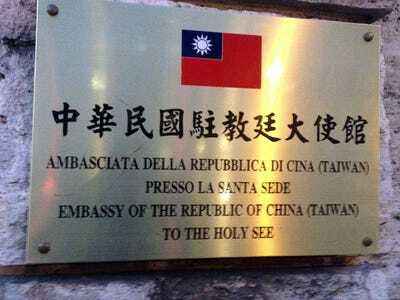 And just to remind you that the Vatican is indeed a country, there are embassies just down the road. 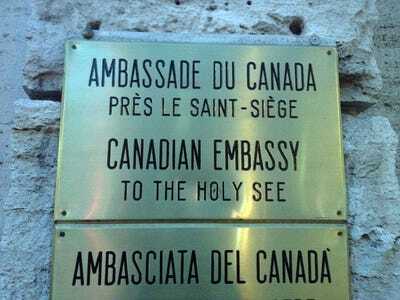 Here's one from Canada, which might be the nation of the next pope. 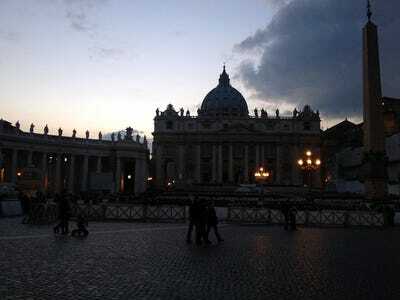 And finally, the sun goes down, and we're about to leave the area around Vatican City, back for the regular parts of Rome.